Posted on 6, February 2019 by EuropaWire PR Editors | This entry was posted in Business, Financial, Hungary, Investment, Ireland, Management, Media, News, Romania, Technology, Telecom and tagged ASF, Bucharest Stock Exchange, buy back shares, buy-back program, BVB, Citigroup Global Markets Ltd, conference call, Digi, Digi Communications, Digi Communications 2018 Preliminary financial results, Digi Communications Conference Call, Digi Communications NV, DIGI symbol, DIGI Távközlési és Szolgáltató Korlátolt Felelősségű Társaság, Dutch Authority for the Financial Markets, Euronext Dublin, financial transactions, Hungary, Indenture, insurance receivables, interim unaudited consolidated financial statements, Investor Relations, investors, Invitel Távközlési Zrt, IPO, Irish Stock Exchange, market, mobile services, movable assets, MVNO, Regulation, Regulation S, Romania, Romanian Financial Supervisory Authority, Romanian National Securities Commission, romanian telecommunications provider, Rule 144A, Securities, senior secured notes, Serghei Bulgac, shareholders, shares, shares buy-back, Spain, Telecom Market, TELECOMMUNICATION PROVIDER, telecommunications, telecommunications services, trade receivables, trading, transactions, tv. Bookmark the permalink. 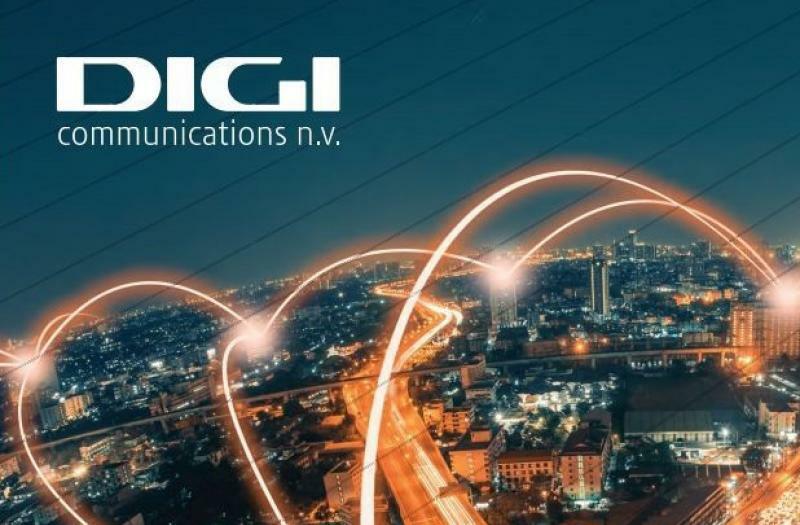 BUCHAREST, Romania, 6-Feb-2019 — /EuropaWire/ — Digi Communications N.V. (The Company) would like to inform the market and its investors that, on 6 February 2019, it decided to offer (the “Offering”) additional €125,000,000 5.0% senior secured notes due 2023 (the “Additional Notes”), to be consolidated and treated as a single class with the existing €350,000,000 5.0% senior secured notes due 2023 (the “Original Notes”, and, together with the Additional Notes, the “Notes”) issued by the Company under the Indenture originally dated October 26, 2016 and supplemented on June 8, 2017 and June 28, 2018 (the “Indenture”), which are currently listed on the official list (the “Official List”) and trading on the regulated market (the “Main Securities Market”) of the Irish Stock Exchange plc (trading as Euronext Dublin). The Additional Notes will be, as the Original Notes, guaranteed (each, a “Guarantee”) on a senior basis by the Company’s main subsidiaries in Romania and Hungary – RCS & RDS S.A. (“RCS&RDS”), DIGI Távközlési és Szolgáltató Korlátolt Felelősségű Társaság (“DIGI Hungary”) and Invitel Távközlési Zrt (“Invitel”) (collectively, the “Guarantors”). The obligations of the Company and the Guarantors under the Notes and the Guarantees thereof are, or will be, as applicable, secured by first-ranking (and, in The Netherlands, both first-ranking and second-ranking) (subject to any permitted collateral liens) security interests over (i) subject to certain exclusions, all present and future movable assets of RCS&RDS, including bank accounts, trade receivables, intragroup receivables, insurance receivables, inventories, movable tangible property (including installation, networks, machinery, equipment, vehicles, furniture, and other similar assets), intellectual property rights, insurance and proceeds related to any of the foregoing; (ii) all shares of certain of the material subsidiaries of RCS&RDS held by RCS&RDS; (iii) certain assets of the Company, including all shares it holds in RCS&RDS, certain bank accounts and rights under the proceeds loan; and (iv) all shares held by DIGI Hungary in Invitel (collectively, the “Collateral”). The Collateral and the Guarantees are subject to limitations under the laws of the relevant jurisdictions and will be released in certain circumstances. 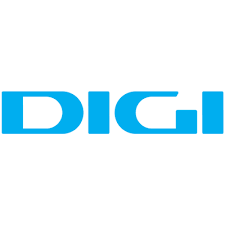 The full version of the restated unaudited interim condensed consolidated financial statements for the nine-month period ended September 30, 2018 (in English only) are available on the Company’s website at www.digi-communications.ro/en/investor-relations/shares/financial-results-presentations/financial-results/quarterly-reports (a further Romanian version thereof being as soon as possible published by the Company in the corresponding section).